"There has not been a single night where anyone has been doing the ‘PLAY OCEAN AVENUE’ thing." 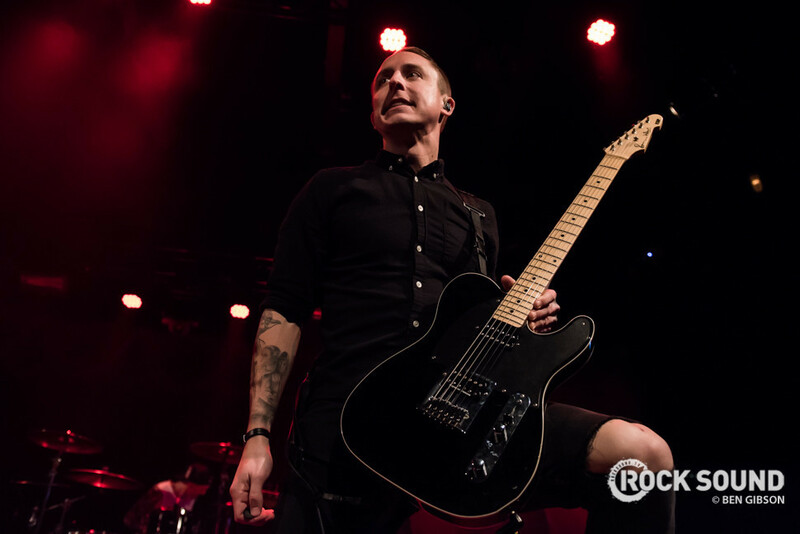 The former frontman of Yellowcard is releasing his solo EP 'Thirteen' today, so in celebration we had a chat to William Ryan Key about just what this new solo venture has meant to him, and life after Yellowcard. YOU’RE ON TOUR WITH NEW FOUND GLORY CURRENTLY. HOW’S THAT GOING? It’s been amazing. I’m playing two shows a night. I’m opening the show with the new songs then having an hour to totally shift gears and bang my head with the New Found Glory boys. It’s cool living in both worlds. Getting to try my hand at this singer/songwriter thing but still getting to go up on stage and play some pop-punk is awesome. SO TELL US A LITTLE ABOUT HOW THE NEW EP CAME TOGETHER? This whole thing was initially me not wanting to just play Yellowcard songs on this tour. Since Yellowcard broke up last year I’ve been doing a lot of shows on my own and travelling all over. For time I thought it would be cool to have something new to play. So I just started writing some songs. Now it’s blown up. WHAT HAS THE REACTION BEEN LIKE ON THE TOUR? When I finish a song, there’s this feeling in the room. When the crowd reacts, it makes my hairs stand on end. It makes me feel like I’m 19 again. There has not been a single night where anyone has been doing the ‘PLAY OCEAN AVENUE’ thing. People are truly engaged, and for lack of a better word, captivated by what I’m doing. That feels so good to look out and see people going ‘wow I didn’t realise he could do that’. It makes you feel good. It makes you want to keep going. HOW DOES IT FEEL TO BE DOING YOUR OWN THING PROPERLY AWAY FROM YELLOWCARD? Yellowcard was an incredible journey and I am so grateful for everything I had, good and bad. But it is in the past. I’ve completely put it behind me. I look back on it fondly and I look back on it in amazement but I have personally and mentally moved on. I’m so thankful that it has given me the opportunity now to step away from it and do things my way. WHERE HAVE YOU BEEN DRAWING INSPIRATION FROM FOR THIS NEW PROJECT? I’ve been getting comparisons to Death Cab For Cutie and Elliot Smith and Bright Eyes. All these amazing artists that I love who are so far from what I’ve always done. Also a lot of the ambient guitar work that I’ve done on the record has been a part of my musical palette for ages, like Explosions In The Sky and Mogwai and Hammock. These are artists I listen to everyday. So combining my love for the singer songwriter genre and my love for post-rock felt really natural for me because it’s stuff that I’ve been always been. WHAT DOES ‘THIRTEEN’ ACTUALLY REPRESENT? I don’t think I will ever stop writing about sorting through my mistakes and the lessons that I’ve learnt throughout my life. I was born in the last two weeks of 1979, so every decade I turn an even number. I turned 10 in 1990 and 20 in 2000. So I look back on life in decades. This last decade, 2010 to now, has been particularly challenging for me and my family and a lot of people I love. So these songs are a lot of looking back on the troubles that we have been through. I really wanted to stand there naked, if that makes sense. I wanted to bare it all. I didn’t want to hide behind anything. It’s very self-aware. DELVING INTO SUCH SUBJECT MATTER MUST HAVE BEEN DIFFICULT TO TRANSLATE LYRICALLY. I spent a lot of time crafting and changing each word when I was writing the lyrics. As I’ve got older I’ve wanted to be a bit more intelligent with the words that I choose. Now when I’ve played these songs to people I know, I felt like I accomplished my mission in the way that they were reacting to the words. My close friends in particular were calling this music poetry. That’s a huge thing to hear. I would never say that I have crafted poetry; I’ve never even used that word in an interview before. But when you do strip down the songs to their bare bones, they do almost sound more poetic. WHAT DO YOU WANT TO BE ABLE TO SAY 2018 MEANT TO YOU IN YEARS TO COME? I’d say it’s the year that I got to continue doing what I love and the year I stumbled upon a sound which is my own. I’d like to look back on a difficult decade and see that it ended on a positive note. In the end it all came together.